Visit one of the most beautiful town on Mediterranean coast line in more active way and see Piran’s colorful architecture embraced with history from another angle. 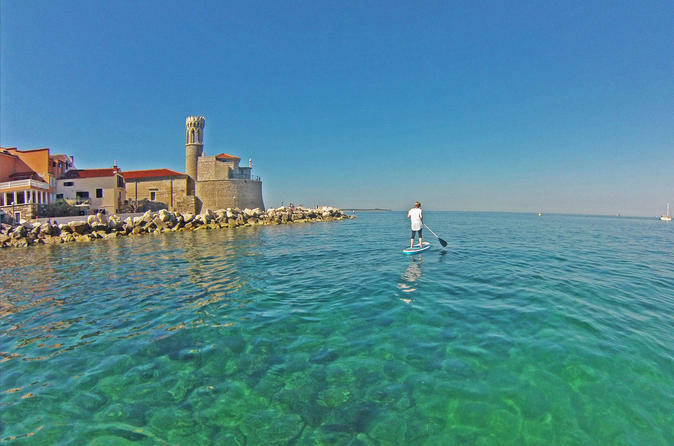 Every Stand Up Paddleboarding tour starts with SUP basics – quick introduction to the activity by ASI certified SUP instructor. Piran from the sea is magical!